Sensors – Fingerprint, Accelerometer, proximity, compass, light. Type – LTPS IPS Capacitive touchscreen with 16M colors. 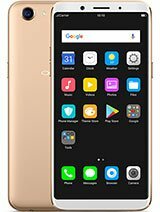 Oppo F5 smartphone was launched in November 2017 in Bangladesh. This phone comes with a Full HD 6.0 inches display with a resolution of 1080×2160 pixels. Under the hood, this device has Octa Core MediaTek MT6763T processor and it comes with 4 gigs LPDDR3 ram and 32 gigs of ROM. You can increase this phone memory via microSD card up to 256 gigs. Oppo F5 has 16 mp f/1.8 primary camera on the rear and a 20 MP f/2.0 for selfies. This device runs on Android 7.1 and is powered by 3200 mAh non-removable battery. This device is available at Bangladesh and price is 24,990/- BDT with 1 Year warranty.